This article is 2475 days old. 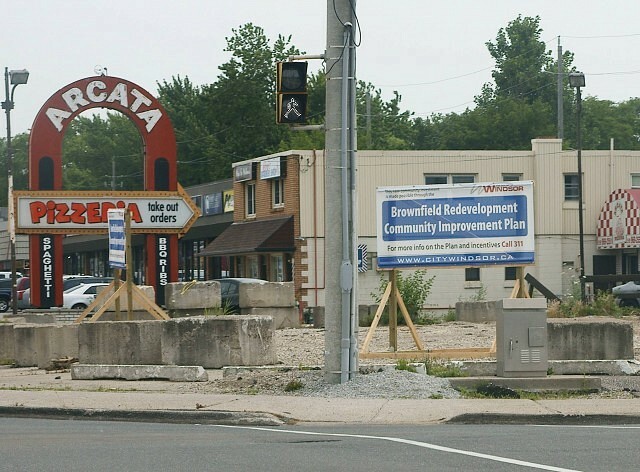 A South Windsor eyesore met the wrecking ball a few weeks ago and now the City of Windsor has erected a sign to show that their program for eliminating blight is working. Situated at the corner of West Grand and Dougall, the property closed as a Shell gas station years ago and had since sat boarded-up and weed-covered. New development calls for a 5,600 square foot, two story office and commercial building built. Included in the development will be 21 parking spaces and landscaping to soften the look of the property.